Baby bud top, Cath Kidston, £11 - Jacket, charity shop, 50p - Shorts, c/o Urban Outfitters - Shoes, charity shop, £3 - Bag, car boot, £1. 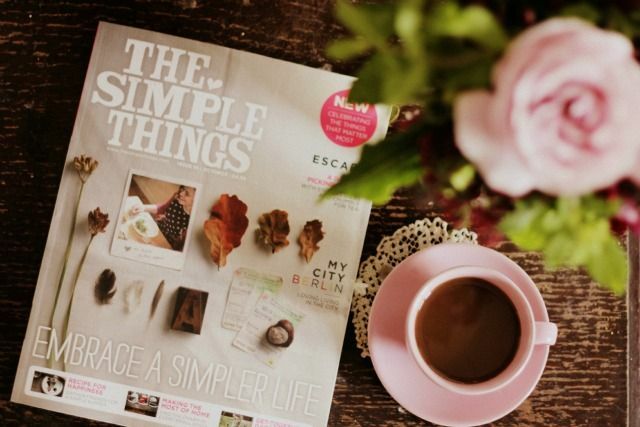 I'm sure you all know how much I adore the simple things in life, so inspired by the launch of my new favourite magazine, I decided to spend the day doing some of my most loved simple things. In the morning I watched my favourite show (The Big Bang Theory, of course! ), drank plenty of tea and coffee, rearranged my bedroom and flicked through some magazines. Then this afternoon I had a quick look around my local charity shops and went for a wander around Battersea Park with my mum to take some outfit pictures in my favourite spot. As I was at home for most of the day, I spent a more time than usual on my hair, makeup and clothes, just to try something a little different. My pink lipstick (Creme in Your Coffee by Mac) and messy ponytail made a welcoming change from my usual bun or beehive and bare lips! I'm also sporting my favourite Cath Kidston top (I got half price due to my staff discount), which matches the colours of my secondhand bag and jean jacket perfectly. It was also lovely to have the confidence to wear such a short pair of shorts out, too! It was a lovely, sunny afternoon - it felt only right to wear a touch of colour and to get my legs out! Speak to you all soon. Love, Jazmine. I read The Simple Things curled up in my book-nook (slope-ceilinged corner at the top of my stairs) with some homemade lemonade and felt like I was living The Good Life. It has become one of my favourites after one issue! that sounds just lovely, i wish i had a little nook by a window to drink tea and read magazines in! that's so sweet, i do love my denim jacket! I adore this outfit. It is perfect for a lazy day off. I am also obsessed with tBBT and have made all my friends watch it! Wow! 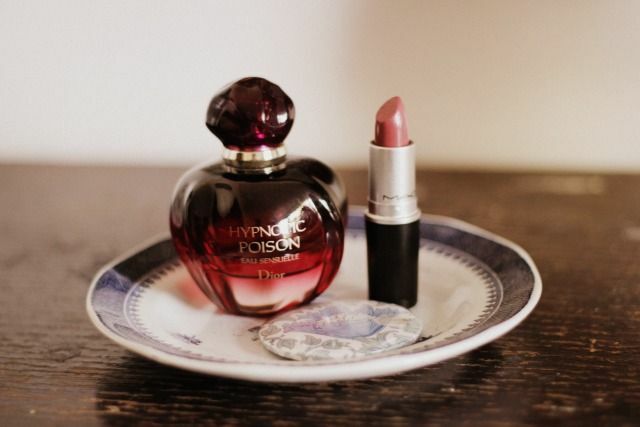 You look amazing and I'm certain I need that lipstick now. xo. Such a pretty yet simple outfit. Love the light in the photos, beautiful top too! Adorable as per. The nose piercing really suits you, I've always wanted one! Pretty photos! Love those shorts! I absolutely love your blouse! Such a pretty, and effortlessly chic look! I adore the blouse, i love it's pattern! I simply love the whole look honestly. The jean jacket is amazing and those shorts? Absolutely beautiful :) I'd loe it if you checked out my blog! Stunning! Love the top/minisirt combo! I love what you're wearing here! I am always so jealous of those shoes! I wish I had your legs! You look amazing. That sounds like a lovely magazine, might have to give it a little read. Such a pretty outfit you look gorgeous and so classy! Twit Twoo miss legs 11! i never realised you had a nose piercing! it really suits you! I'm 100% sure that your legs could actually stop traffic! Lol! They could rival most supermodel's! But those shorts, they are just beautiful! They suit your style sooo much! I love what you've teamed them with too :) Outfit perfection as usual Ms Rocks! Random, but I am Loving your eyebrows! What stunning photographs you look so gorgeous. It sounds like time well spent, enjoying the little things in life is a must! Beautiful photos! Do you want to swap legs with me? No? Oh ok then. Wow you look lovely Jazmine! So jealous of your legs in those shorts! I've not seen 'the simple things' magazine before-sounds like I'm missing out! I'm long overdue a charity shop visit, did you find any bargains? looking unbelievably beautiful Jaz, glad you had the confidence to show of your lovely legs! Those legs are INSANE. So pretty. This looks lovely, I especially love your shorts! I LOVE the shorts, how chic are they?1 Your style reminds me of Audrey Hepurn, its timeless. So beautiful! Your legs are incredible!! Oh my, how beautiful is your bag! 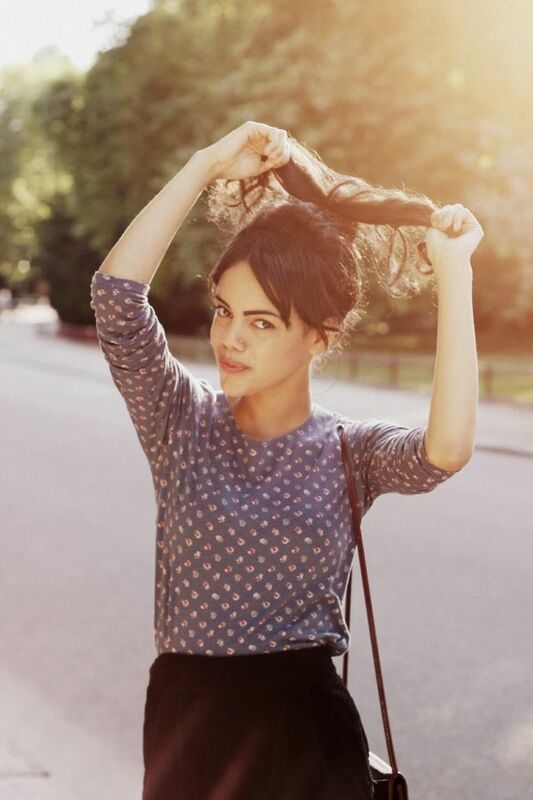 oh, you are very beautiful and your blog is fantastic!! !